First in the series of wine tastings for small Groups from Sweden! 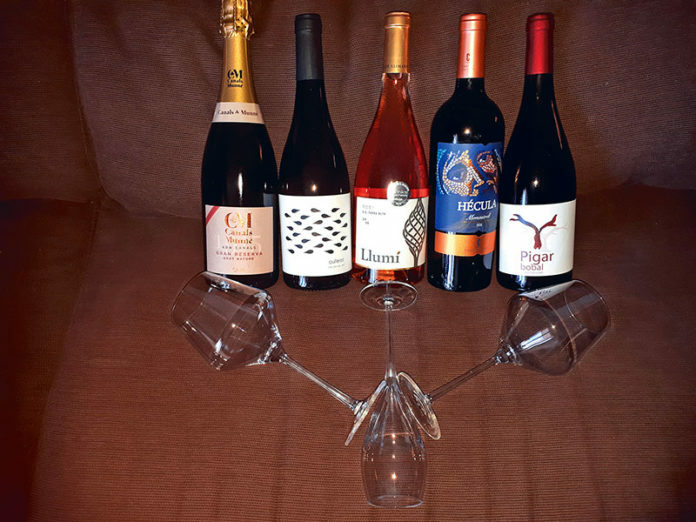 SWEDISH WINE TASTING – THE SERIES! 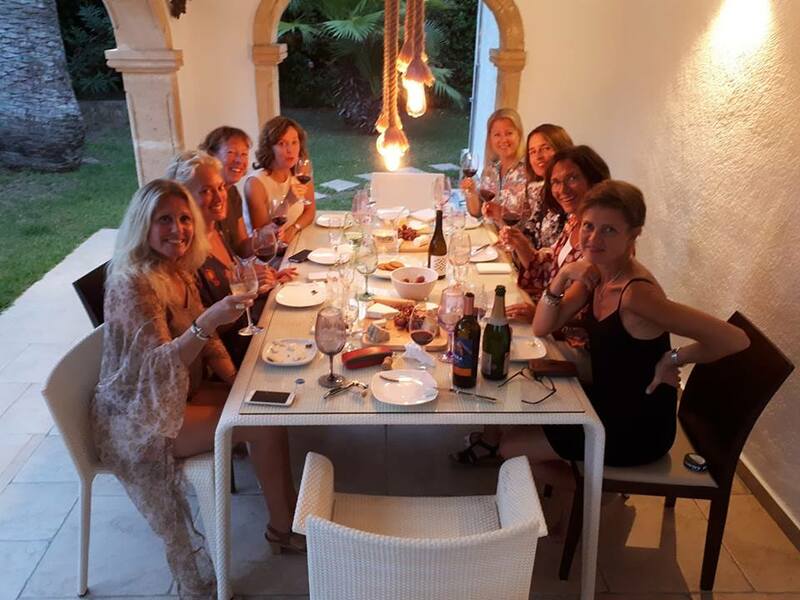 In September and October I’ll be presenting a series of wine tastings for small groups of Swedish people who are visiting Spain, combing various activities with the opportunity to experience a little Spanish culture, and some sunshine! The Iberian peninsular, even if we take Portugal out of the equation, though still include the islands, is a rather large area, no? And, as Cork Talk readers know full well, there are many, many wine producing zones here in Spain. It’s clear therefore that there is rather a large number of wines from which to choose. My job, although hugely enjoyable, is also tough! I like to include at least one wine from a world famous wine producing area. However, I also like to champion the cause of the smaller, less famous areas. Plus, I’m a great believer in promoting local wines too! So, for the first groups at least (I’ll probably ring, or pop, as in cork, the changes as time goes on) I’ve chosen, for the ‘famous areas’ – Cava. I’m a great believer in Cava, as regular readers will know. For ‘smaller, less famous’ I’ve chosen DO Yecla, another favourite area of production for me, as well as DO Terra Alta, where there is some great winemaking going on the moment. And for ‘local’ I’ve actually chosen a white wine from DO Valencia and another red from DO Utiel-Requena. I think it’s a good balance, and I’m hoping that the always very appreciative Swedish attendees will agree! Our cava, is not just any cava! I’ve mentioned Premium Cavas in Cork Talk before – these are the Reserva and Gran Reserva cavas that, for me, distinguish Cava as one of the foremost sparkling wines of the world, always equalling Champagne in quality, and often beating it! Cava producers, Canals i Munné have been mentioned here before too! Their Cava ‘Adn’ Brut Nature Gran Reserva, priced at well under 20€ is made with two of the classic cava varieties, Macabeo and Parellada, plus it has 30% Chardonnay in the blend. It really is a winning combination, and when you include aging on its lees ‘en rima’, for a lengthy 48 months (easily exceeding the minimum 30 months for Gran Rerervas!) – well you have something a little bit special! For white wine, I’ve gone for a favourite of mine since its inception several years ago. Cullerot (meaning tadpole, in Valenciano you’ll know why when you see the label!). A super wine which is made with each variety (Chardonnay, Pedro Ximénez [yes, PX, of sherry fame, but as dry as you like here! ], local variety Verdil and, linking nicely with the above, Macabeo) being fermented separately. Then, blending takes place and the almost finished wine is placed in huge, underground ‘tinajas’, clay amphorae, with its lees, for a further 6 months of ageing. You have to try it! I’m a fan of rosado wines and Llumí Rosat from Celler Alimara, DO Terra Alta is a firm favourite. It’s made with 100% Garnacha grapes and is certain to make those who think rosé wine is just for girls, think again! Perfumed, yes, with raspberries, under-ripe strawberries, a touch of pomegranate and wisp of ripened cranberry; but also full and lasting on the palate. Excellent paella wine, by the way! My great friends at Bodegas Castaño, DO Yecla, make a large range of wines, every one of them excellent value for money, from those retailing at under 3€ all the way through to their flagship wines that cost 30+€. I decided to go for the one which has consistently been given 90 points and above in the Robert Parker guides, since its first release, quite a few years ago now, when it earned 93 points out of 100. And this for a wine that still retails for under 7€! Made with elderly Monastrell grapes the wine is placed in oak barricas, 80% French and the other 20% American (incidentally, it sells out every year in the USA!) for no more than six months. The lovely plum and damson fruit is to the fore, with some oak back-up for depth and added flavour and aromas. The final wine will be from Bodegas Pigar, made by my pal, the slightly rebellious, Juan Piqueras up in the rolling, mountainous hills of Utiel-Requena. Here, the indigenous Bobal, queen of all she surveys, gives of its best, and Juan’s version is proud to be among the best that the area can offer. Cherries, light, dark and Picota are the fruits involved here, with some mountain herb notes, a little minerality and a depth of flavour that would surely make you think it cost twice as much! First Swedish tasting tonight (as I write) – I can’t wait! 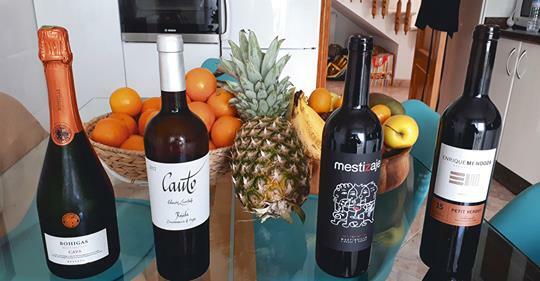 Author ColinPosted on September 21, 2018 Categories ArticlesTags Bodegas Castaño, Bodegas Pigar; Canals i Munné; Celler del Roure; Celler Alimara, SwedenLeave a comment on First in the series of wine tastings for small Groups from Sweden!